One of the tools that investigators have that is essential to many investigations is conducting covert surveillance operations. 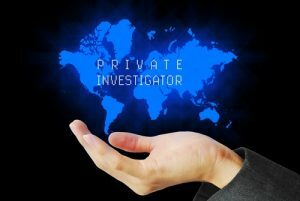 Since most of the activities people are involved with that warrant hiring a private investigator are intended to remain secret, it’s sometimes necessary to observe and document those activities and bring them to the light of day. In my career as a Federal Agent, I received extensive training and experience in various surveillance techniques. Conducting surveillance by government agencies can be accomplished by using sophisticated electronic equipment, satellites, overhead aircraft and/or drones and unlimited manpower and resources. For those of us who used to be in law enforcement, we miss the days of having dozens of colleagues who could assist in a surveillance operation and be there in case things turned ugly and there was a need to call in the Calvary. But when most of us enter the world of private investigation, that fantasy world no longer exists. Resources are limited by the amount of money the client has available to spend. In addition, the laws pertaining to privacy are much different in the PI world than available in the law enforcement world. It can be challenging to locate the subject of the investigation and document their activities covertly, within the laws of the jurisdiction you’re located and within budget. One of the most challenging and sometimes frustrating aspect of my job as a private investigator is educating potential clients on the real world of surveillance versus the Hollywood version that they have come to believe after many years of watching actors portraying private investigators. In Hollywood, PI’s can break into hotel rooms or sneak electronic listening devices or video recorders in any place their needed. A cell phone can be traced or hacked in minutes without the unsuspecting owner ever knowing his conversations are being recorded. Of course, in the real world none of this is legal. A recent news story is a great example of how little can be done legally and technologically with cell phone. Do you think if the FBI could have simply gained access to the San Bernardino terrorist’s cell phone without involving Apple, that such a big stir would have been made that dominated the news worldwide for weeks? Of course not. If the Federal Bureau of Investigation has to hire an Israeli company, using the most sophisticated methods available, to hack into a cell phone, how is the average private investigator going to do the same thing? A well run surveillance operation can yield important information that can break a case wide open. But it can also be very difficult and sometimes a waste of time. One of the classic mistakes an investigator makes is in prematurely believing his cover has been blown and the surveillance was ruined. Many times in my law enforcement career I would think I had been made and that the suspect we were following had looked me straight in the eye. Or that the u-turn the suspect made in the middle of the street was a “heat run” to see if he is being followed. Later as we interviewed the suspect in jail, and asked him about seeing us following him, he would say, no, I never knew I was being followed. I just turned around because I forgot something. One thing I tell my infidelity investigative clients is that contrary to what you’ve seen on television, I almost certainly can’t get photos or video of your husband in bed with his girlfriend. However, I probably can get photos of them walking to the hotel from the parking lot and I can get photos of their cars parked there all night when he’s supposed to be in a different city. That may not be as sensational, but as evidence goes, it’s pretty strong.